We were all under the weather this past week. I am probably the last one. I hope your weekend was as cozy and fun. I love love these, especially that first pic. I hope you are feeling better and it is always nice to snuggle in with the family. Thank you for stopping by and commenting about my post on The Decemberists! And thank you especially for the suggestions of Dawes and The Avett Brothers. The Avett brothers are from NC and I love You And I And Love but I'd never heard of Dawes. I'm listening to them on Spotify right now and totally loving their sound. What great recommendations! GOOD TO have family when you are under the weather. 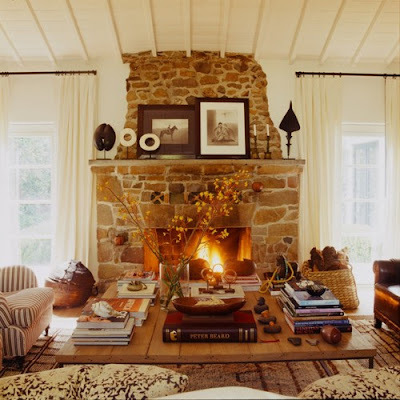 Oh how I wish we had a fireplace...I love the second photo with the huge wood one. I hope you all feel better soon.